Meet the 16 Coolest Power Moms in L.A.
All moms work overtime with no overtime pay, we all know that secret. Then there are moms who step it up a notch to share their knowledge and expertise in helping other moms ease into motherhood. Meet these L.A. power moms who not only take care of their households, but also manage to pursue their passions and share them with us. We’ve rounded up a colorful list to include: a go-to mom specializing in family issues, artists, a celebrity, entrepreneurs and philanthropists. The best of the best of power moms that make L.A. a fabulous place for moms and their families. As if chasing around two young boys isn’t enough, this power mom has over 20 years experience under her belt working as a licensed Family Child Therapist. Specializing in ages newborn to seven-years-old, she launched TheGoToMom.TV in 2006 to produce parenting shows that are syndicated to over 2 million viewers. Working Mother Magazine named her one of the most powerful moms in social media, and she has interviewed many influential people including Vice President Biden. As if that wasn’t enough to keep her busy, she is also the Social Marketing Director for the Early Childhood Mental Health Campaign in Los Angeles, helping families detect and manage mental health in their little ones. Move over fake geek girls, the real cool geek is in town and she’s a power mom. Well, that’s what she’s recently blogged on her contributor site at Forbes.com where she dishes about women and technology tidbits. She’s also the genius founder of L.A. Maker Space, a community that brings together a smorgasbord of creatives for kids of all ages to make DIY hands-on projects and inspire artful minds. They describe themselves as “age-agnostic”, meaning all ages welcome! If Hollywood wants to know the latest in baby and kid’s swag, they know whom to call: Jayneoni. She’s been featured on Entertainment Tonight, The Insider, and MTV just to name a few. She is famously known for her Boom Boom Room, a Pre-Golden Globe gifting suite that showcases the latest in baby and kids’ gear for celebrity moms-to-be. Anybody who is somebody in Hollywood knows Jayneoni is the gatekeeper who knows what’s in and what’s out in baby and kids products. Who doesn’t love a fantastic party and the inside scoop in the latest, hottest baby gear? Mom of two boys and entrepreneur Jina Park has built her empire on delivering the best in baby products and party planning ideas to trendy savvy families. PLUSH is her highly publicized Los Angeles trade show featuring the best of the best in posh little urbanite products for consumer parents. In addition to PLUSH, Jina’s empire includes PlushLittleBaby (formerly known as Ultimately Plush), an online resource for moms to find party planning ideas & tips, vendor directories, product reviews, and her creative blog. When she’s not marathoning or chasing around her two kids, this former newspaper reporter edits and manages a community of over 100 bloggers on MomsLA.com. The website picks the creme de la creme of the best mommy bloggers to dish about real challenges and issues surrounding life in LA through the eyes of real LA moms. She’s also a contributor to Babble and writes for YvoneeinLA, Tecca and CBS Los Angeles. Transforming the look of little boys’ fashion with her creative greaser/skater designs from Knuckleheads, Melissa Nash started the family business from her husband’s motorcycle shop inspirations. Melissa keeps her styles simple, classic, yet trendy. Her clothing has been all the sensation on among celebrities’ kids and featured in various publications. Her biggest helpers with the business? Her kids who are at the office daily are her biggest inspirations in her design process. Moms love getting together and sharing on all topics of life. Meet Linda Perry who started out meeting with 15 moms and grew the group to lead over 13,000 moms and families to share challenges, triumphs, and stories through the online community, PeachHead.com. In addition to being one of the biggest online mommy support groups, they also meet off-line to actively help each other with motherhood issues and form true, meaningful relationships. Originally a power attorney who started her career as an associate entertainment attorney at Loeb & Loeb, LLP, this power mom of twin boys quickly climbed the corporate ladder blazing through years as President of Auditude, then six years at Yahoo! developing content and business strategies, and now as Senior Vice President at Disney Interactive Media Group and Disney Online where she oversees online content geared towards women and families. This Hollywood mom has worked as a casting director for many popular TV reality shows. Her philanthropic ambitions and her passion for social change led her to create the LA Diaper Drive. The nonprofit organization collects diapers for low-income SoCal families year-round. The LA Diaper Drive has donated over 800,000 diapers for low-income SoCal families in the past year and has helped to bring awareness this issue. Ceramic artist, wooden craftswoman, Etsy shop owner, and blogger extraordinaire , this mom of two created Crappy Pictures to vent her funny happenings as a mom and because well, she didn’t have a fancy photographer to follow her around to document her life. Her hilarious take on motherhood captured by a simple paint and draw by the computer has garnered an impressive following of other moms who can empathize with a big gusto of LOL’s. Her mission is simple: get the kids cooking up something in the kitchen with you! Catherine introduces simple, kid-friendly recipes to encourage and inspire moms to get the little ones involved in the cooking process. Her honest, organic and nutritious approach to introducing kids to foods is refreshing and helps families develop healthy attitudes to food and eating right. Who doesn’t know or love Jessica Alba: her beautiful family, her impeccable style, and her commitment to bring natural and eco-friendly products to families through The Honest Company. This Golden-Globe nominated beauty is changing the way companies are run and products are made by making sure they are created out of a culture of honesty. She extends her commitment to an honest community by being a strong volunteering advocate: she’s actively involved in Safer Chemicals Healthy Families, ONE, and Habitat for Humanity, just to name a few. Sleep…it’s probably the number one issue surrounding our families once a little bundle of joys arrive. Jill Spivack is an experienced psychotherapist that specializes in pediatric sleep disorders after her own battle with her first child’s sleep issues. She has made her life’s journey to speak, write, and contribute to various outlets to help parents and their children how to develop healthy sleep patterns. She is co-owner of Sleepy Planet, a community including her consultation services dedicated to guiding parents on the path toward healthy sleep development. This Stanford grad has had an amazing career working with the big names in Hollywood as a former entertainment lawyer. She is currently the Co-Chair of the Board of Trustees of the Children’s Hospital Los Angeles, one of the premier pediatric hospitals in SoCal. She and her husband have also founded the Children’s Fund 100, a dedicated group of generous philanthropists that support the Children’s Hospital Los Angeles in order ensure quality healthcare for our little ones. 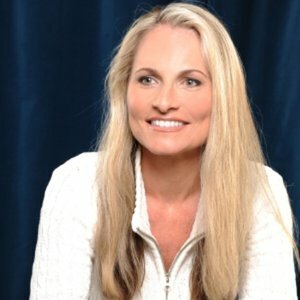 Homeschooling expert and author of two books: Deschooling Gently and Zenschooling, this power mom of three has devoted her life to advocating the benefits of homeschooling to families all across Southern California. Since 2003, she has been actively involved in the homeschooling community by organizing homeschooling information nights, speaking at conferences, and volunteering. She says the best thing about homeschooling is the freedom it allows families to travel and experience the world first-hand. This mother of three made it her mission to find herself a plush selection of luxury baby clothing and gear that was lacking in the 2006 baby market at the time her twin daughters were born. So she decided to set up shop and Bel Bambini was born with an impeccable selection of baby and nursery products that are safe, environmentally friendly and of course, of the utmost quality. Her baby boutiques can be found in the trendy neighborhoods of West Hollywood and Newport Beach. Uncategorized > Meet the 16 Coolest Power Moms in L.A.